Mr. President, we acknowledge the two reports by the Secretary-General on National Human Rights Institutions (NHRIs). As we mark the 25th anniversary of the Paris Principles this year, we regret that aspirations for independent, effective and empowered NHRIs are yet to be realised in many Asian countries. We regret the lack of a transparent, clearly benchmarked process for reviewing and accrediting NHRIs by the Global Alliance of National Human Rights Institutions-Sub-committee on Accreditations (GANHRI-SCA). For instance, the National Human Rights Commission of India was granted ‘A’ status in November 2017, 1 despite lack of genuine improvement after its accreditation was deferred in 2016, and serious concerns expressed by civil society. 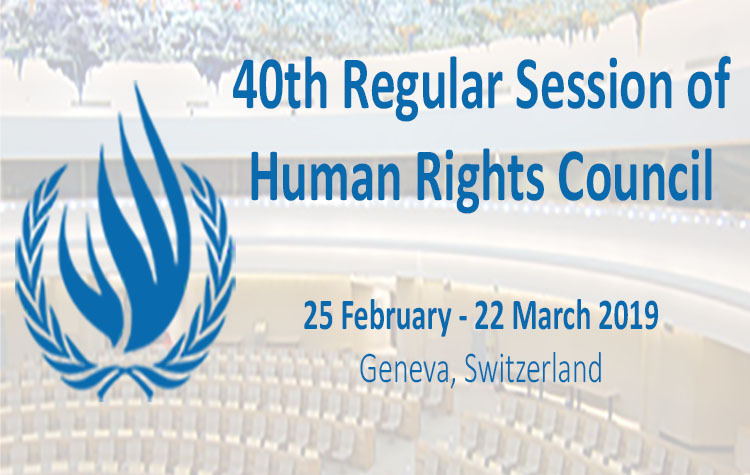 We call on GANHRI to ensure NHRIs are reviewed and accredited through a transparent bench-marked process with meaningful participation of civil society. Furthermore, we call on all UN agencies to encourage engagement between NHRIs and civil society in accordance with the Paris Principles and Kandy Programme of Action on cooperation between NHRIs and NGOs. We regret that the Kathmandu Declaration on Addressing Impunity and Realising Human Rights in South Asia 2 adopted by NHRIs of South Asia does not adequately address the need for cooperation between civil society and NHRIs to combat impunity. Finally, we echo the Secretary-General’s recommendations to states to protect members and staff of NHRIs against threats and harassment, and prevent reprisals against NHRIs. We condemn continuous statements of intimidation and reprisals against the Commission on Human Rights of the Philippines over the past year. We call on all Asian states to create an environment conducive for NHRIs to function independently and without fear of intimidation and reprisals in accordance with the Paris Principles.